The CAM Boot Walker that we stock is designed to immobilise the foot and ankle to decrease pain and swelling, promoting faster healing following injuries or surgical procedures. Our CAM Boot Walker features a rocker sole for added comfort and ease of ambulation, as well as a non-slip sole to protect from slips, providing additional security in each step. Our boots use Velcro closures so can accommodate changes in swelling following an injury, providing a more custom fit. The metal interlocker provides increased strength and durability, while the breathable moisture liner and medical-grade foam foot bed increase comfort. 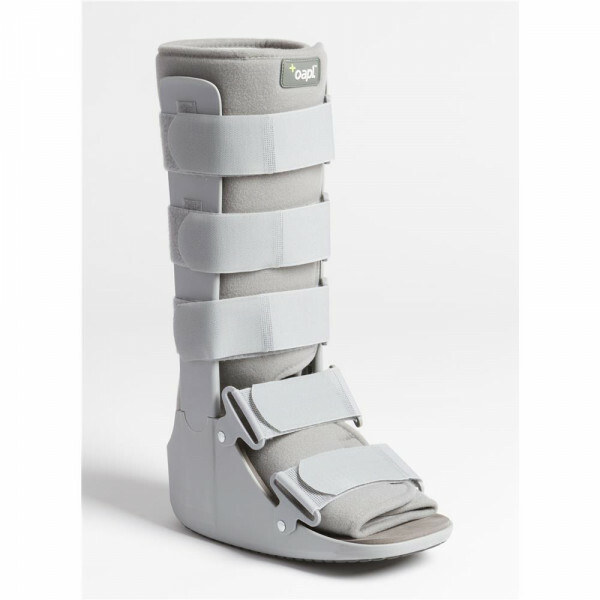 The CAM Boot Walker is designed to stabilise the ankle at 90 degrees to promote healing. We provide a thorough education session when you are fitted for your CAM Boot Walker so you know you will be using it correctly and getting the most benefit out of it. For instance, it is important to wear a shoe of matching heel height on the opposite side to the CAM Boot Walker. The CAM Boot Walker heel is reasonably thick, and if you walk around lop-sided for several weeks it’s common to develop some hip and back pain. We charge $80 plus consult fee for our CAM Boots to be professionally fitted and education to provided - a smart investment to ensure you are getting the CAM Boot set up correctly for your circumstances so you get maximum benefit from wearing it. We stock a complete range of CAM boot walkers so you know that we have your size in stock. Call us today on (03) 9457 2336 or schedule an appointment online today for a fitting. We will ensure the right size and fit and provide you with professional advice on wearing the CAM boot.